After your initial remarks addressing the tragedy that occurred in Charlottesville, Virginia, I wrote that you were correct. I agreed with you, and honest scrutiny of the facts of what occurred there that day bear out, that bigotry and violence were on display on "many sides." But this effort to soothe and unify the nation unfortunately came up short. Many felt that you had not gone far enough in singling out the white supremacist, neo-Nazi, KKK elements. This was driven by lingering concerns, for various justifiable reasons, that you harbor a willingness to tolerate, and may even have sympathies to, the persistent cancer of racism in America. Although you subsequently explicitly called out the racists, your follow-up encounter with the press clouded matters again and left many, including me, uneasy and sickened. A cancer patient in remission still reacts to any sign that the deadly disease may not have been eradicated. That, after hundreds of years, racism still dominates headlines in America, that club-wielding racist terrorists still show up in our streets, shows the depth of the problem. We know that you have many enemies on the left, and this includes many in the mainstream media, that want to hurt you and your presidency and impede your ability to move your agenda. They clearly are doing all they can to take advantage of this difficult situation. But nevertheless, there are too many good people across the nation that still harbor doubts as to where you stand regarding racism and white supremacists. In the past, when issues have arisen that are sufficiently disturbing to the American people that they begin to interfere with a president's ability to lead, the president has addressed the nation to set the record straight. I think it is time, Mr. President, for you to do this. I think you should bring a camera crew into the Oval Office and speak directly to the American people. You should, in this television address, look the American people in the eye and tell them that you condemn racism to the core of your being and that you will not tolerate it anywhere. And then you must speak to the racists and tell them they are hurting your presidency and your ability to govern, and that they must stop and go home. You then should address the other side. You should tell the "alt-left" that they should not interpret your unequivocal condemnation of white racists as tolerance of their despicable behavior or their agenda. You should remind the "alt-left" that it is to push back against their big government ideas, moral relativism and identity politics that the American people elected you. Regarding the confederate monuments, you have already expressed sympathy for leaving them in place. I understand your concern of "where does it stop?" Are George Washington and Thomas Jefferson next? Please give the American people credit for being able to understand the difference between Washington and Jefferson, and leaders of the confederacy such as Robert E. Lee and Stonewall Jackson. Although many of our nation's founders had slaves, they were not dedicated to the proposition of slavery. They were dedicated to the proposition of building a new nation, founded on liberty and equality under the law. The confederacy was not only dedicated to the proposition of slavery, but also to the proposition, ultimately codified in the Dred Scott decision, that black people are not human beings. 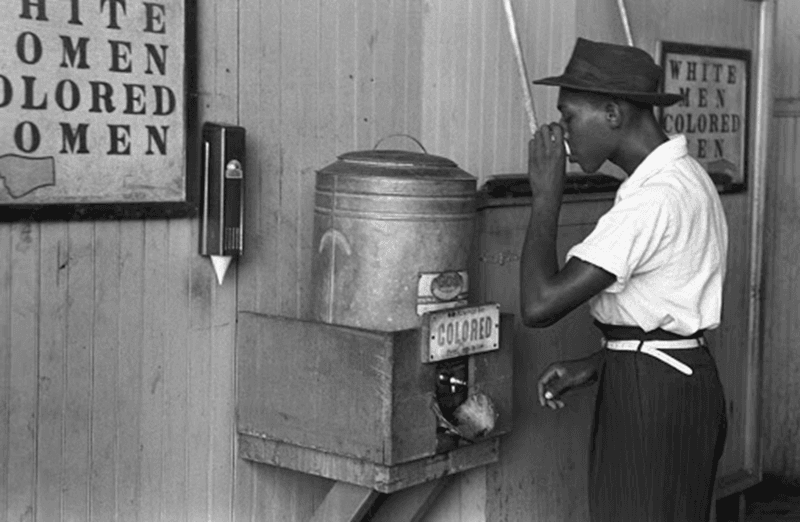 The mistreatment of blacks across the nation was consistent with this view. Please understand, Mr. President, what these symbols mean to black Americans and that the continued presence of these symbols in America's public spaces will always leave doubt in the minds of even the most successful black Americans that they are 100 percent part of this country.